Create Your Own Signature Production! 5. 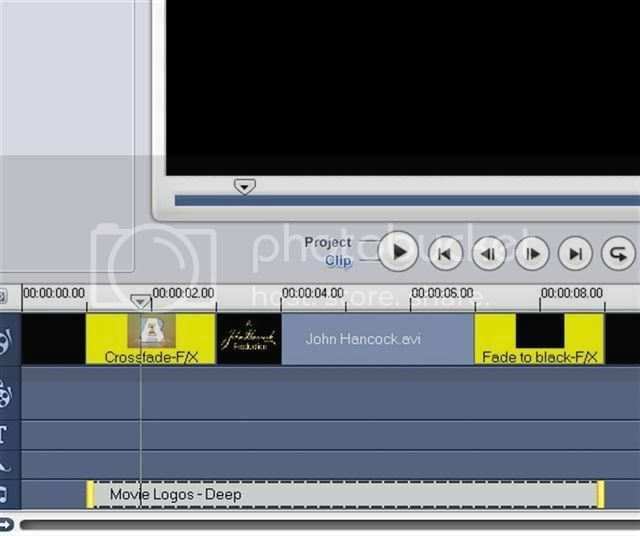 Finish Cool3D project in VideoStudio 9. So warm up your scanner and lets begin! First, you'll need to create your signature using a plain sheet of paper and a good black marker. TIP: A larger signature will scan better than a small one. 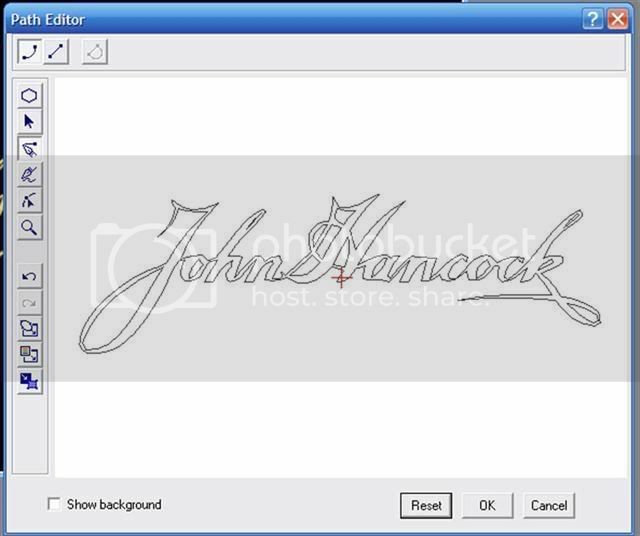 Using your scanner software crop to just around your signature, then scan and save your image as a bitmap (.bmp) or jpeg (.jpg). You'll have a picture like below. You can right-click on it and save it to your computer and follow along with the tutorial if you like. NOTE: Right-click on the above jpeg and save it to your computer and follow along with the tutorial if you like. NOTE: If your new document isn't set to default to your standard DVD dimensions, be it NTSC or PAL, go to Image->Dimensions and select the appropriate dimensions for your video. You can also select Set as default for new documents so that you don't have to change this in the future. Next, select Edit->Insert Graphics to open the Path Editor. Become familiar with all of the icons by moving your mouse over each one and pausing. A tooltip will tell you the name of each icon. Now select the Convert to Vector icon. 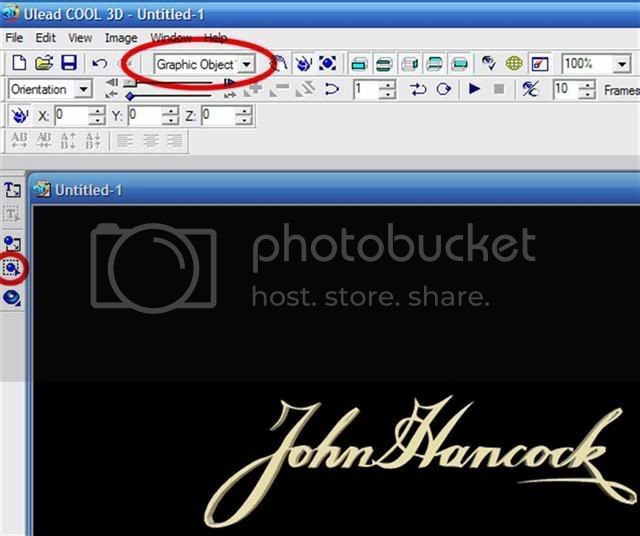 In the Open dialog box select your bitmap or jpeg and select OK.
Now you'll see your signature load as a vector in the Path Editor. 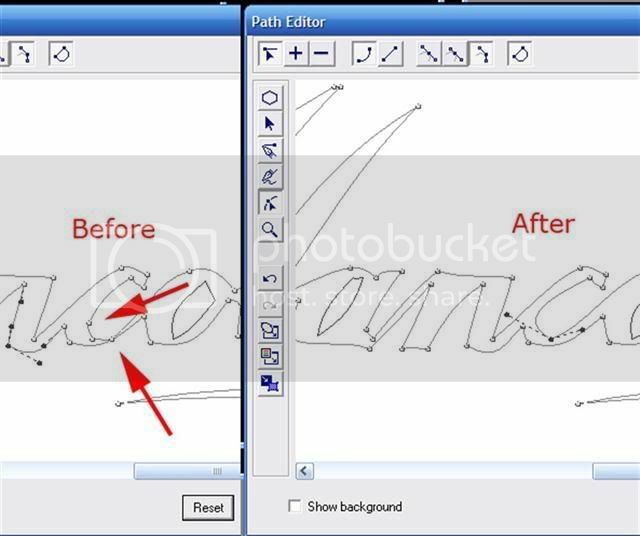 Deselect the Show Background option and you'll notice that only the vector path is shown now as seen below. Next you'll probably need to make some adjustments to your vector. Click on the Zoom icon to get a closer look. TIP: Selecting and deselecting the Show Background option will help you compare the original to the path. Now select the Adjust icon and you'll see what are called nodes appearing on your signature. Click on a node that you want to adjust. You'll now see that the node is solid black and that there are two handles connected to it. If you want to move the node click-and-drag it into place. If you want to adjust the node's curve, click-and-drag one of the handles to make an adjustment. If you make a mistake, don't forget that there's an Undo icon at your disposal. Now lets remove some nodes, which will make your object less complicated, easier to render, and make your curves look smoother. Click the Remove Node icon and simply click on a node you want to remove. Below is an example showing before and after I've removed two nodes and adjusted the remaining node. Once you are done adjusting the vectors path to your liking, select OK. TIP: If you decide later that you're not happy with the way your vector looks, you can always go back and edit it again by selecting the Edit Graphics icon. Just be sure that your vector object is selected in the object list. Now it looks much better! Select the Insert Text icon and insert the letter Now, select the Move Object icon and move our letter above the signature object. 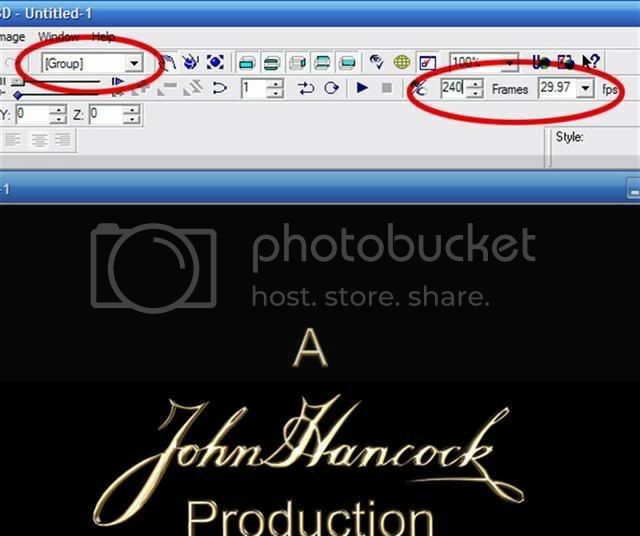 Select the Insert Text icon once again and insert the word Production?into your project. Select the Move Object icon again and the our word below the signature object. Now it's beginning to look good. NOTE: Notice how I ensured that [Group] is selected in the Object list so that the motion applies to all of the objects in our project. Next, select Studio, then Motion in the EasyPallete file directory and drag a preset onto our project. I selected the second one from the top left. Now that we're done we could just open the Cool3D project in VideoStudio. However, since our signature is a vector object, this project will eat up a lot of resources in VideoStudio, so it is better to create an .avi and then open it in VideoStudio. Select File->Create Animation Files->Video File and use the default settings to create an .avi file. Now open VideoStudio. Select File->Insert Media File to Timeline->Insert Video. 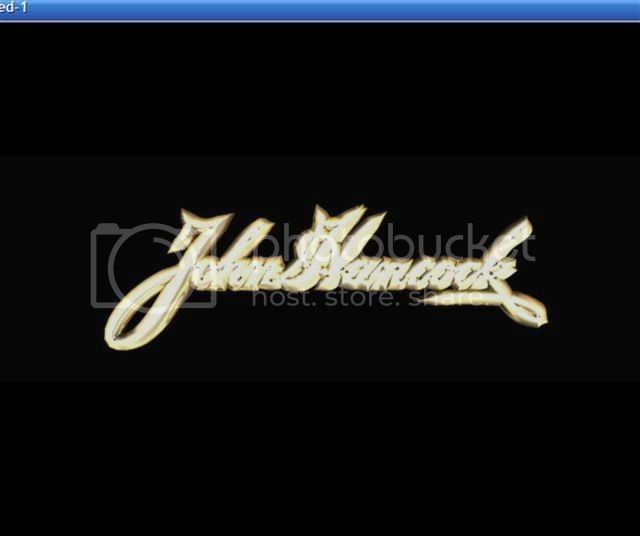 Choose your newly made signature video. Let's add a fade-in and fade-out to out signature video. From the Library choose Color and insert Black onto the timeline once before the video and adjust the Duration to 3 seconds. Now add a Black color after the video and adjust the Duration to 3 seconds. Next, go to Library, Transition, and choose the F/X transitions. Drag the Crossfade transition in between the first black color and the video. Adjust the Duration to 2 seconds. Next drag the Fade to black transition in between the last black color and the video. Adjust the Duration to 2 seconds. We're almost done, now for the icing on the cake! Click on the Audio Step (or press ALT+A), then click on the Auto Music tab. Choose Movie Logos for the Music, then select Add to Timeline. NOTE: VS11 users, if you don't have VS9 or 10, then you can to use Kick' Back - Easy. Next, select Variation and choose Deep to change the SmartSound track selected. Now we're ready to render our project so that we can use it in our videos! Go to the Share Step (ALT+S), choose Create Video File, then choose NTSC DVD (4:3), or PAL for your region. That's it! Now the next time you are ready to make a DVD - in the Share step, simply choose Add Video and add your very own Signature production video and amaze your family and friends.